typebox receives its first article in german PAGE magazine! kame plays drums with sadsadfun! 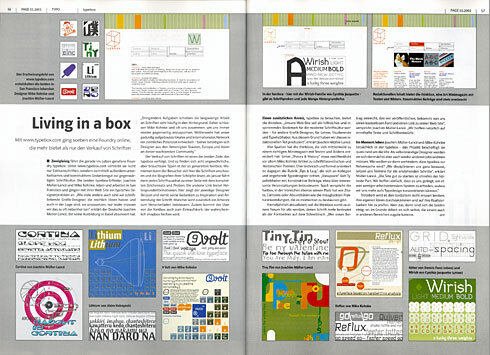 PAGE magazine is the first publication to write about typebox. can be found in PAGE issue 01.01, january 2001, pages 56-57.
kamenews has a new masthead.